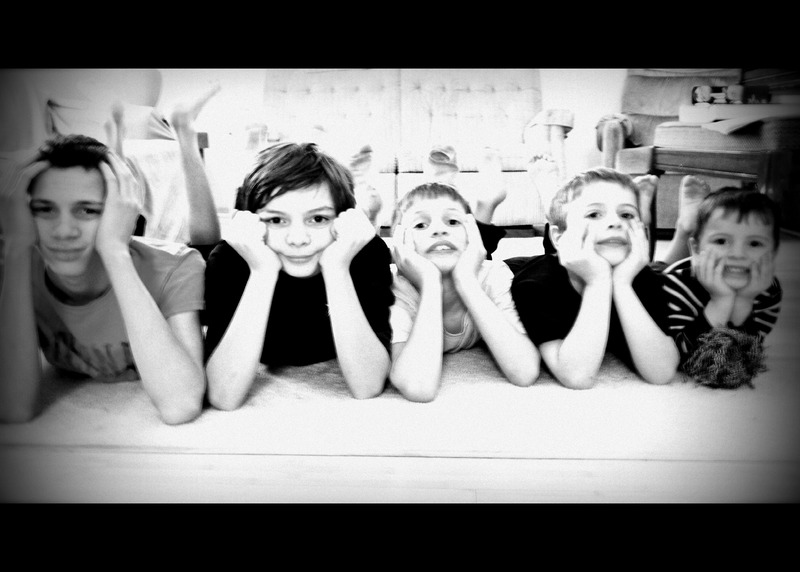 As I look at my five boys, I am reminded daily that my time with them is limited. Today they will wrestle in the living room, tomorrow they will wrestle in the world. As their mom, the most important thing I can do to help them prepare for that day is to PRAY. And so I pray, knowing that God loves my children even more than I do. I know that you pray for your children, too. 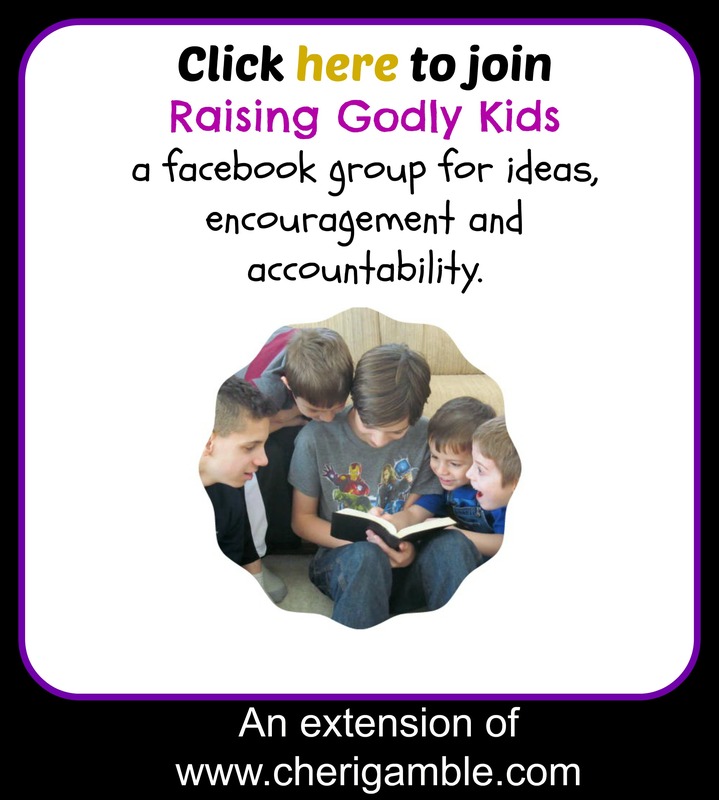 That is why I am making these prayer guides each month — to help each one of us become more intentional in our prayers for our children throughout the year. 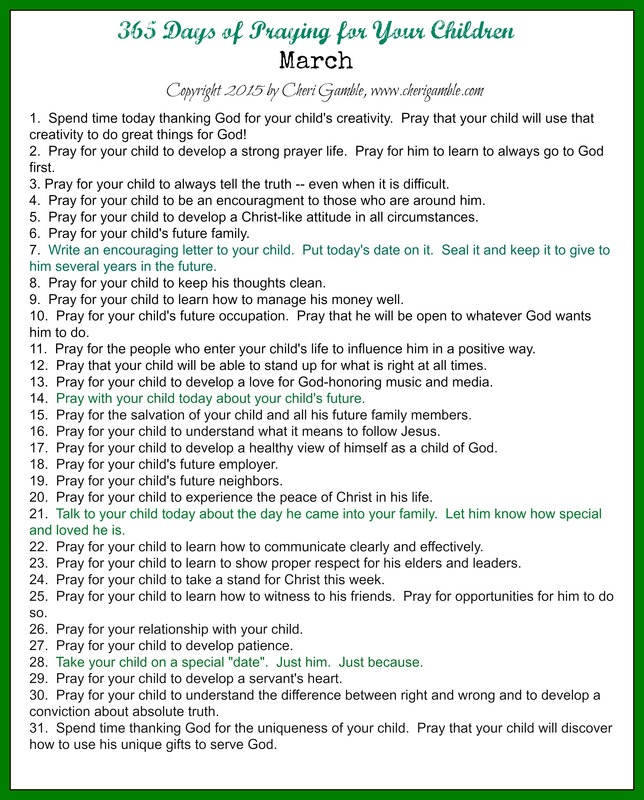 Here is what I will be using this month to help direct and focus my prayers for my children. I hope it also helps you. This is a great resource! Thank you. I need to improve my prayer life, and this will give me some much needed direction. Wow – this is wonderful! Great game plan! Wow…such a great idea! I run a Moms’ Prayer group every other week. I am sharing your site with them! Thanks! Is there a moms prayer calendar this month? I didn’t put it in a calendar format this month . . . just the above printable (which corresponds to the days of the month). If you want it in a calendar format, let me know, and I will be sure to go back to that in the future. I actually really liked the calendar format as well, but the list will do too! Thank you for such a great encouraging resource!